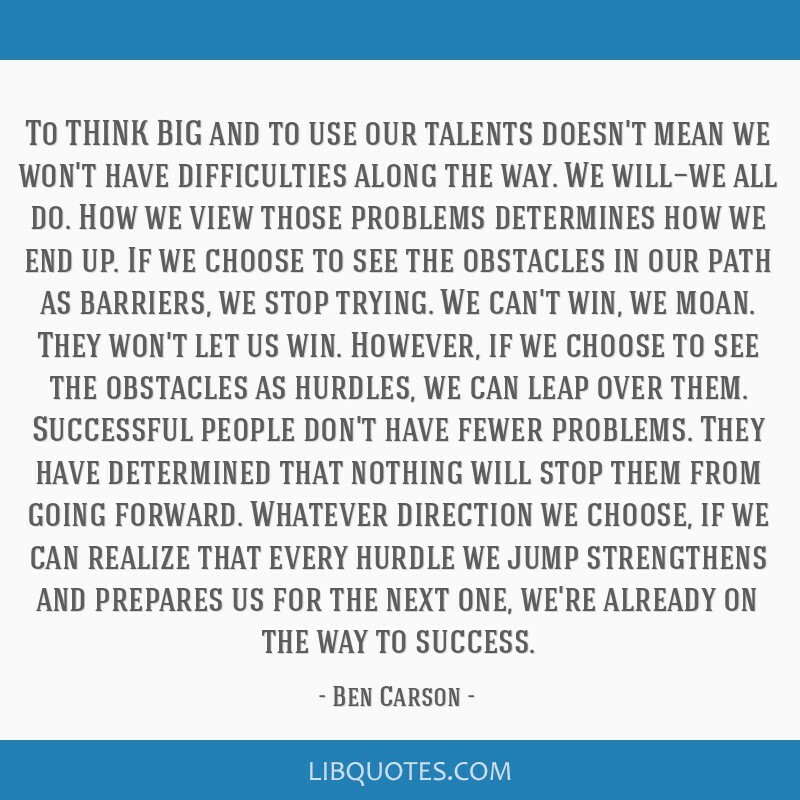 To THINK BIG and to use our talents doesn't mean we won't have difficulties along the way. We will—we all do. How we view those problems determines how we end up. 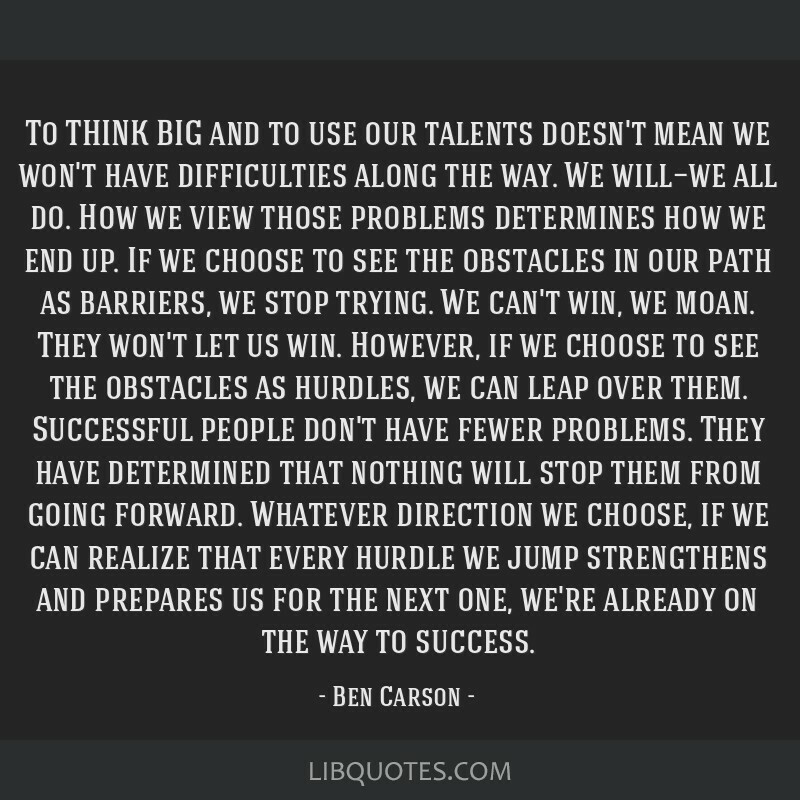 If we choose to see the obstacles in our path as barriers, we stop trying. We can't win, we moan. They won't let us win. 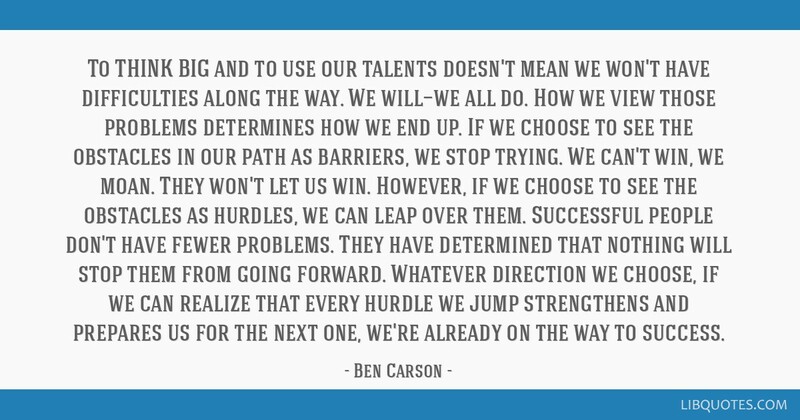 However, if we choose to see the obstacles as hurdles, we can leap over them. Successful people don't have fewer problems. They have determined that nothing will stop them from going forward. 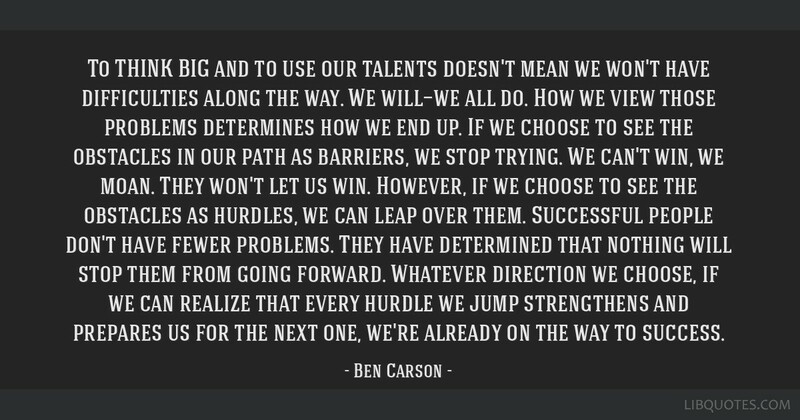 Whatever direction we choose, if we can realize that every hurdle we jump strengthens and prepares us for the next one, we're already on the way to success.